Many PC games require you to have a more than a keyboard to operate them comfortably, especially if you are enjoying as double players. You may need a joystick or a control pad to use them adequately. The Xbox 360 controller is easy to install for any PC that has a functional USB 2.0 or 3.0 ports. Other computer configurations that may be required are a PC that is running on an operating system that is Windows 7 or recent versions of the Windows platform like Windows 8, Windows 8.1, or Windows 10. Connect your wired gamepad to the USB 2.0 or 3.0 ports of the computer. You will notice that the ‘add new’ hardware wizard would run and install the software automatically. The drivers for Windows 8 and 8.1 are automatically installed. If you are running on Windows 7 and the installation does not start automatically, then you may need to follow the following steps to install the necessary software by using Windows 7 compatibility mode. On your preferred internet browser go to Xbox 360 controllers for Windows. Select the specific processor that matches your version of Windows; either Windows 7, 32 bit or Windows 7, 64 bit. Select the language to use, download, and save the file. Locate the saved file and then right click on it to select properties. Click on ‘run the program’ in compatibility mode and select Windows 7 from the dropdown list that appears. Choose apply and click on Ok.
Run the program for it to install the necessary files to your computer and then finish by restarting your computer. The controller will now be detected and ready to run and use on your personal computer. For Windows 10 the process above is unnecessary because Windows 10 will automatically install the drivers for you when you connect your controller to either a USB 2.0 or 3.0. You do not need to install additional drivers. 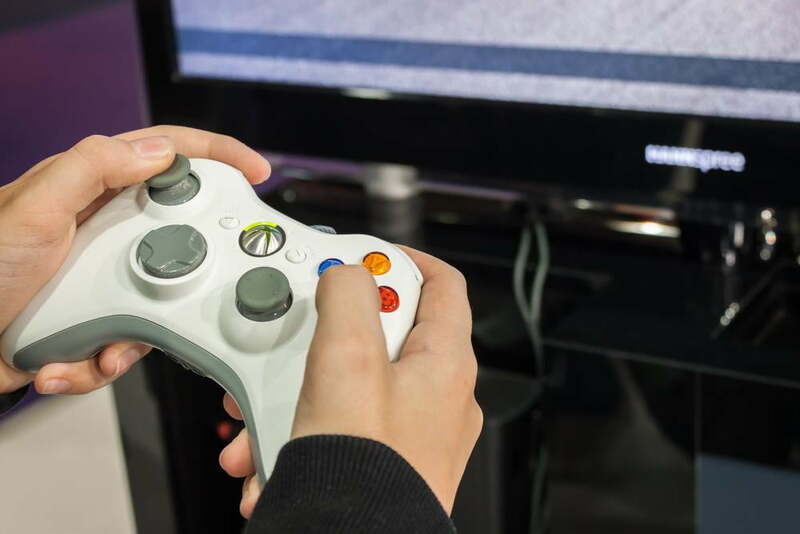 You can directly connect your controller and then test it by opening the ‘Xbox app’ or launching a gaming application and trying to operate it from there. If you encounter difficulties or if your PC does not detect your controller then try plugging it to a different USB port and test it again. The wireless gamepad is more or less the same as the wired variant, but it has an advantage in that you do not need wired connection for it to function and you can enjoy your game by sitting on your bean bag at a comfortable distance away from the screen. Here’s an excellent discussion depicting the differences. To set up the wireless Xbox 360 controller to your computer you will need the wireless gaming receiver. The receiver comes with an installation disk that contains the software necessary for the receiver and the controller to be detected automatically. Do not worry if you do not have the disc, as the software is downloadable from the Microsoft hardware website. All you need is to visit the site and download it from the gaming product types listed. Make sure you download one that is compatible with the windows version of your PC. Once you have the installed the drivers, you can connect your wireless controller by turning it on and following these steps. Use the ‘guide’ button in the middle of the control pad. Press the ‘connect’ button on the receiver and notice the green light that flashes. Complete the connection by pressing the ‘connect’ button that is on the back of the Xbox 360 controller. The wireless controller should now be connected and ready to play. After you have successfully installed your game pad, you may need to calibrate it so that you set its range of motion. Follow these simple steps to calibrate your controller. Type ‘joy.cpl’ in the search box of your computer to reveal the games’ controller window. In the game controller’s window select ‘XNA gamepad’ and go to properties. In the settings, tab select ‘calibrate’ and follow the steps prompted by the wizard to complete the calibration. Save the settings by selecting the ‘apply’ button. Now your controller is set up and calibrated for the perfect gaming experience. The Xbox 360 controller is in a class of its own regarding convenience and user experience. The wired variant offers more or less a ‘plug and play’ experience on updated windows versions while the wireless can allow up to a maximum of eight connected controllers. If you want a hassle-free PC gaming experience, then this is the go-to experience you should seek. It might take you a while to get accustomed to the new control mechanism but trust me, it’s completely worth the experience! Also, if you are looking to enjoy the Xbox experience on your PC, then we have covered how you can exactly do that at Emu Finder.